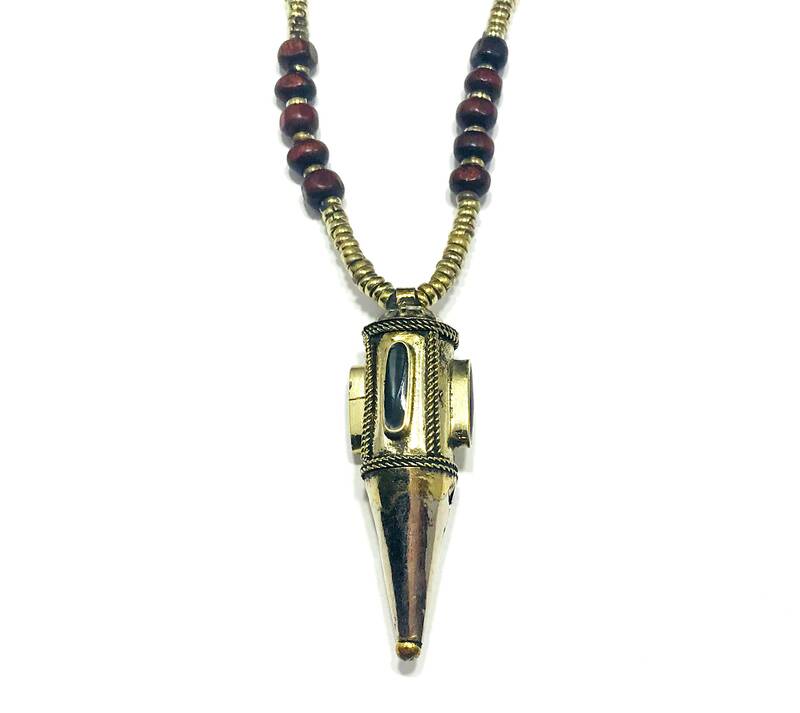 Vintage Afghan/Middle Eastern spike pendant necklace in German silver/mixed metal. 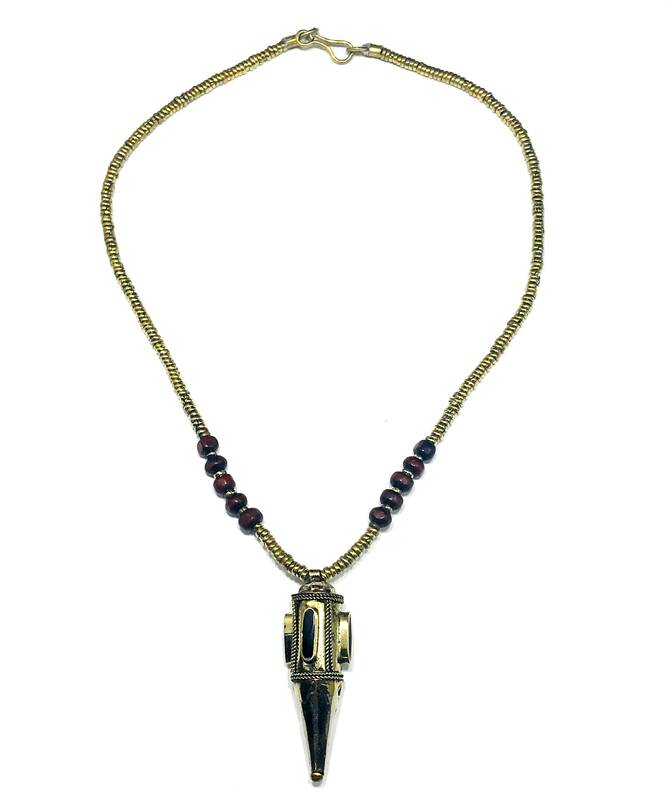 This piece features a series of metal beads with some wood beads near the charm. Charm measures 2" in length and is lightweight with an Onyx-colored Agate stone. Bead/Chain measures 16" in total length. This piece would look great mixed with thinner silver chains.